Zheng Shuang is a Chinese actress and singer. She graduated from the Beijing Film Academy.She Won The Hong Kong Film Award for Best New Performer. Zheng is best known for acting the role of Chu Yuxun in the television series Meteor Shower, which shot her to stardom. Then she starred in the sequel of Let's go to see the Meteor Shower together. 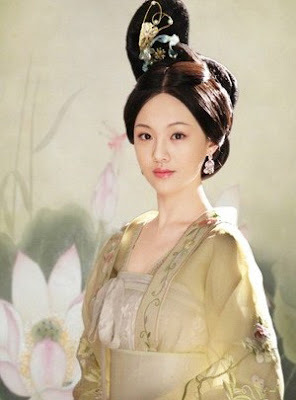 She subsequently starred in many films and television series, including Painted Mural, Secret History of Empress Wu, War of Desire, No Limit, and Secret History of Princess Taiping. Born- 22 August 1991 Shenyang, Liaoning, China. Zheng Shuang is a famous actress and singer in China. She looks young and cute. She looks grate with her traditional costume. She looks gorgeous with her Chinese traditional dress. She looks beautiful with her white dress. She is simple and pretty actress. She looks elegant with her black dress.